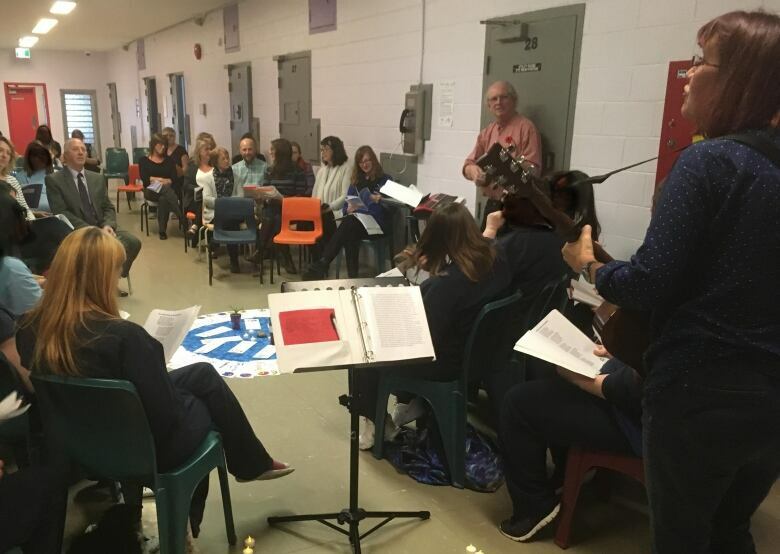 At the Clarenville Correctional Centre, a recent project to write and perform lullabies had a powerful impact on inmates — and the people guarding them. We are a long way from Carnegie Hall. We are in the Clarenville Correctional Centre, a women's jail in eastern Newfoundland. The inmates have gathered. Candles have been lit, and songs are about to be sung. Not just any songs. They are lullabies. This story is about a project that saw lullabies written and performed, and how they had a powerful impact on the inmates — and the people guarding them. And there is a connection with Carnegie Hall, the famed concert hall in New York City. Jan Buley is a professor of education at Memorial University in St. John's. Her co-organizer is her husband, David Buley, a professor of music education at MUN. On this, the day of their concert, the range at the prison is buzzing with music, nervous laughter and, surprisingly, joy. Juxtapose that with the stark fact that two women died here only months ago. The reports on their deaths still haven't been released to the public. 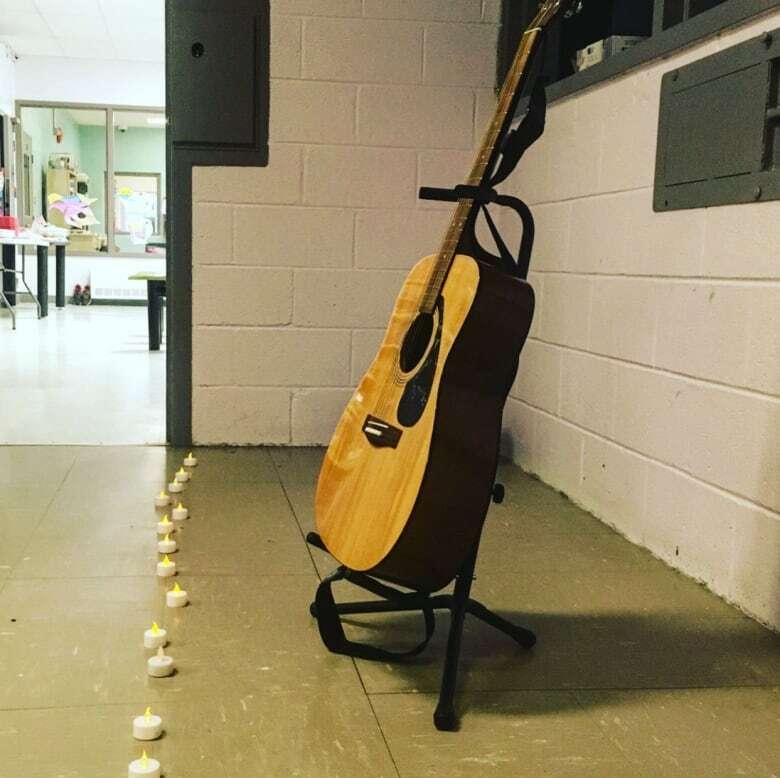 Before the concert, Jan and David, along with Amy Sheppard, a social worker with Stella's Circle, stood in a circle with inmates as they lit tea lights to remember the two deceased women, Skye Martin and Samantha Piercey. The candles flickered in the centre of a large circle of women's name cards on the floor between the audience and singers. Jan and David say the cards help everyone involved remember the community of women who shared their personal stories to create lullabies. Sheppard said the ritual of circling in around the names became a powerful tool. "This circle is a collection of all of the women we've worked with over the past few months," she said. At first, the cards introduce the participants to each other, she said. Each week, as they return to work together, the cards become symbols of the relationships they've built. "I've been a social worker working here for the last 10 years and we've done all kinds of therapeutic groups and this has been one of the most impactful projects I have worked on," Sheppard said. "It has been really an honour to watch the women blossom using creativity." David Buley said when a lullaby was completed, he would record it in the prison, take it home to annotate it, and the next week present the women with their musical score — complete with their names listed as composer. "It's not about me coming and saying, 'This is the kind of music you should have.' I try not to do that," he said. "These are texts from people's hearts and souls. Some of the lullabies are very poignant and sad, some of them are uptempo, and some of them are angry and have different emotions. I presented them their song written up with the author's name and the copyright, and it was a lovely moment of, 'I did that?' "
The road to their first composer credit wasn't easy. Jan Buley said not many of the women believed they could write a lullaby. They broke down the doubt by working first on a group lullaby, Waiting for the Time. Jan Buley said that song became a kind of anthem for the women. "We forged on and we began with memory and asked, 'What do you miss, being here?' and the brainstorming was so energizing and we covered three big sheets," she said. "I can see them on the wall. Scribbling madly ideas such as, missing the moon outside my bedroom window, missing watching birds flying free." On the day of the concert, before walking out onto the range to face the audience of volunteers, Department of Justice officials and guards, the lullaby composers calmed their nerves by holding hands and telling each other, "You're beautiful." The women said writing the songs together brought them closer. With David on keyboards and Jan on guitar, the women sang songs about their love for their children, other songs asked forgiveness for missing birthdays and apologized to family for letting them down, one inmate wrote about missing her deceased mother, a woman who fostered 26 children. The songs were simple but incredibly powerful. Audience members and performers dabbed their eyes with tissues. Boxes were passed back and forth. While some of the songs were laments, others gave the women an opportunity to speak truth to power. A Labrador woman spoke about losing custody of her children when introducing her lullaby. Assistant prison superintendent Shelley Michelin was near tears when she described her pride in the women's accomplishments. "The fact that they opened up and composed and sat in front of a crowd of people and sang just goes to show the power that Jan and David have," Michelin said. "They are so positive in what can be perceived as a very negative environment. You know, these women are moms, they're aunts, some of them are grandmothers. To be there for each other and to share their stories in this type of environment that says a lot." David Buley said the project gave voice to the women's lived experiences and reminded the audience of their vulnerabilities. "The awareness that there is a creative, deep thinking person there," he said. "An awareness that there's something good and beautiful and valuable. That's what you see on people's faces: not surprise, but a deepening awareness." Jan and David Buley are continuing their work with the Lullaby Project this winter, through Stella's Circle in downtown St. John's. Visit the show's page on CBC Listen, or subscribe to the podcast by clicking on the buttons below. David Buley is a professor of music education, and not a professor of music, as a prior version of this article had said. 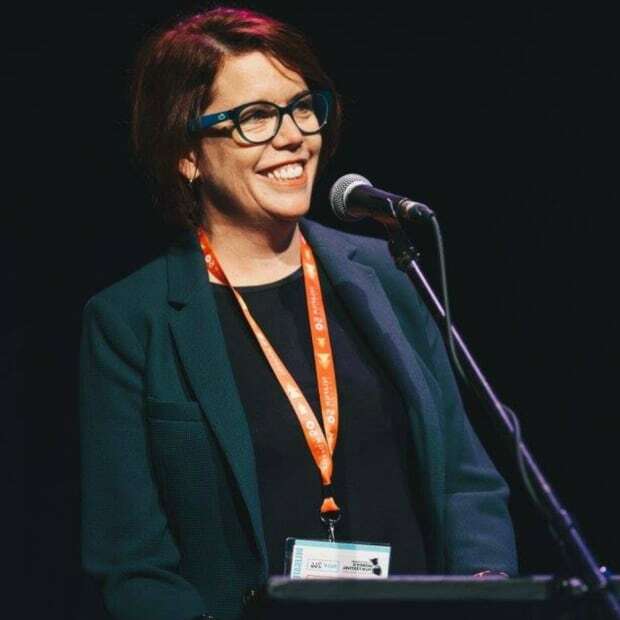 Angela is a producer who works from St. John's and is the host of Atlantic Voice, a Sunday morning documentary program on CBC Radio.